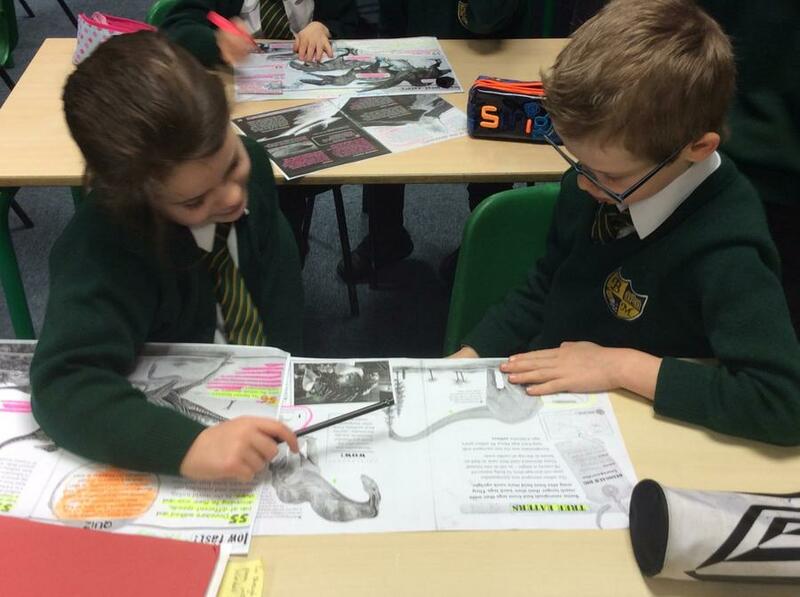 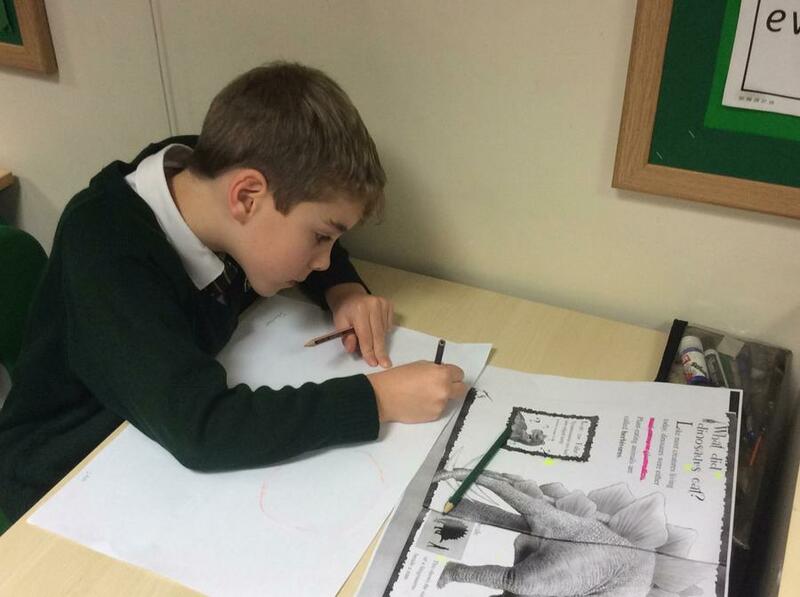 In English this week, we have continued with our work on non-chronological reports. 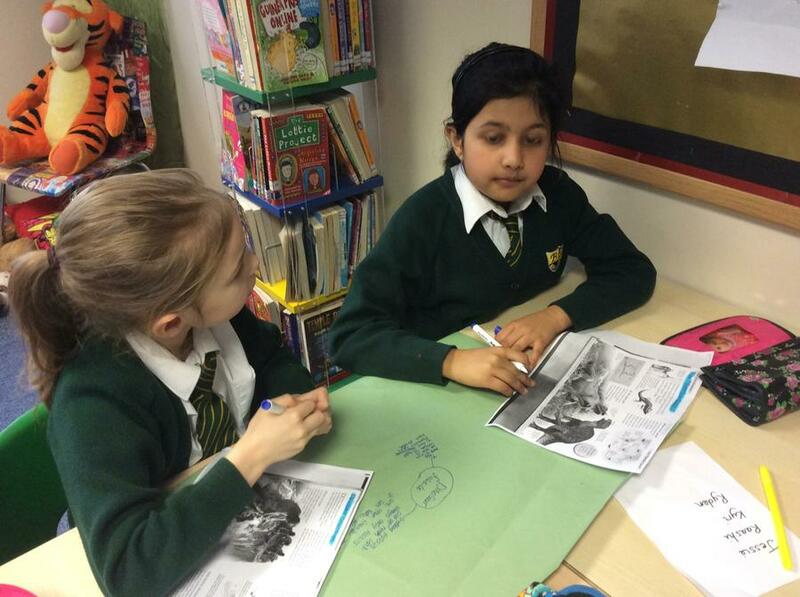 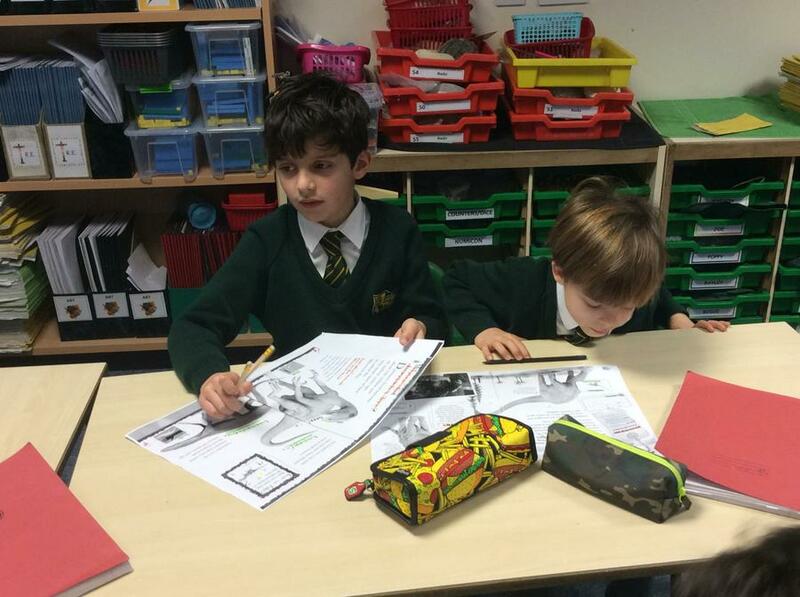 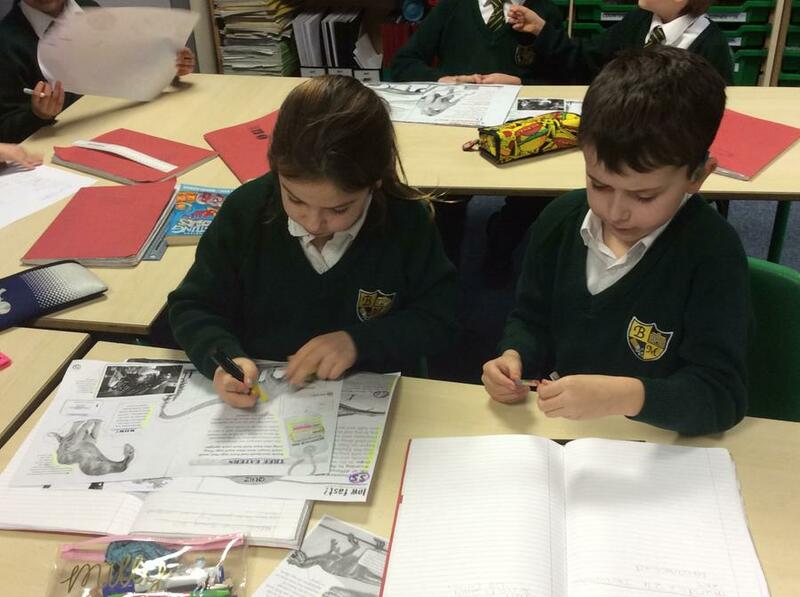 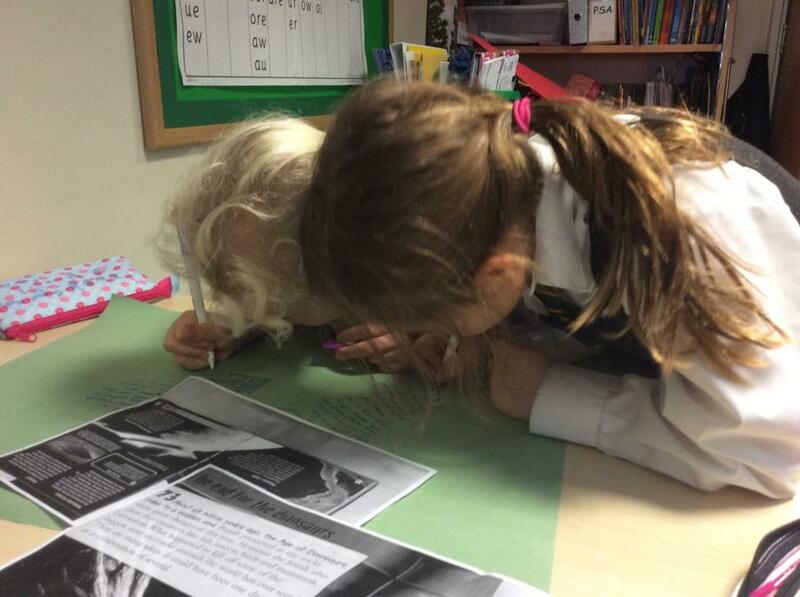 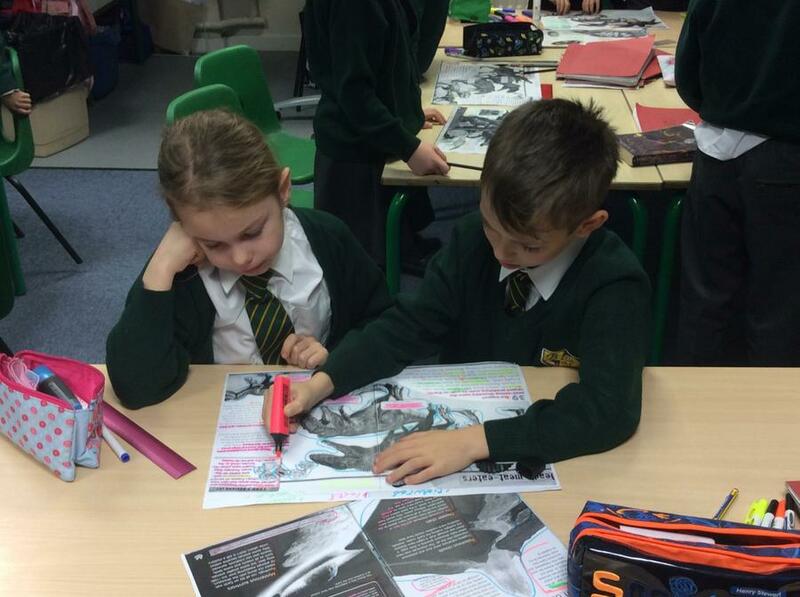 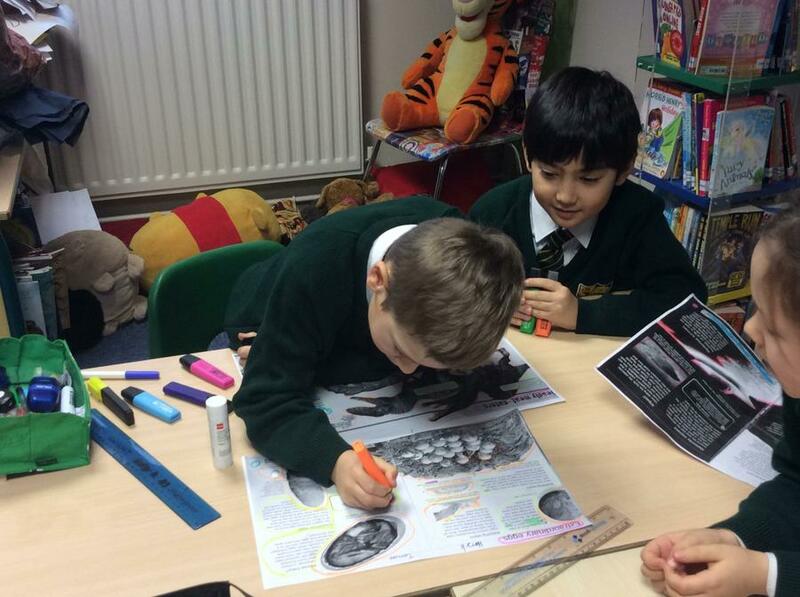 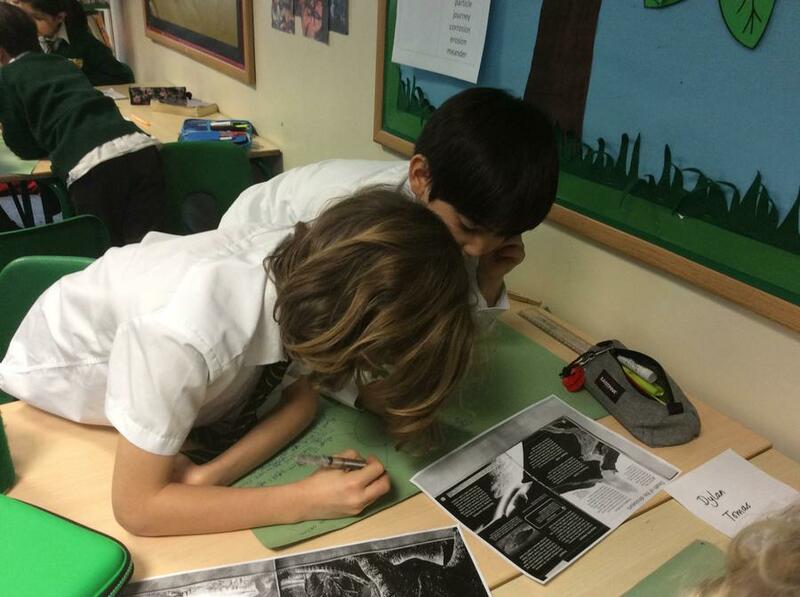 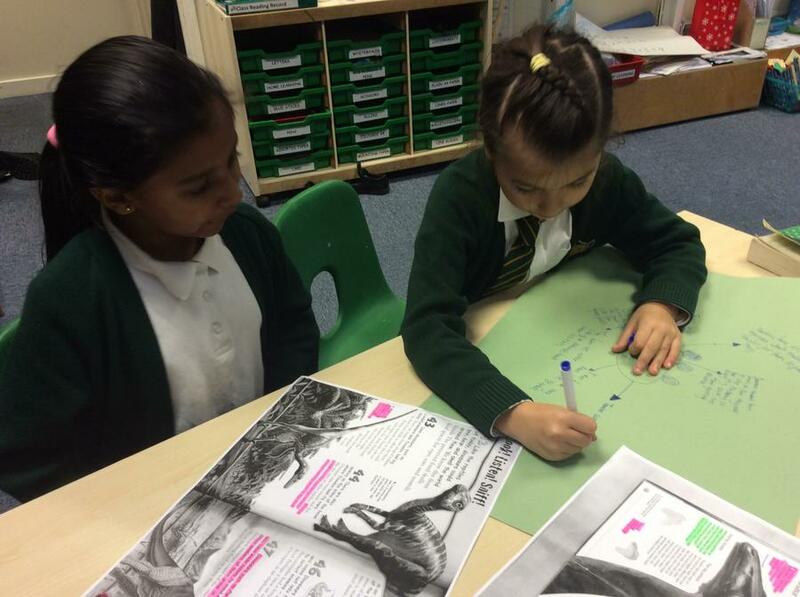 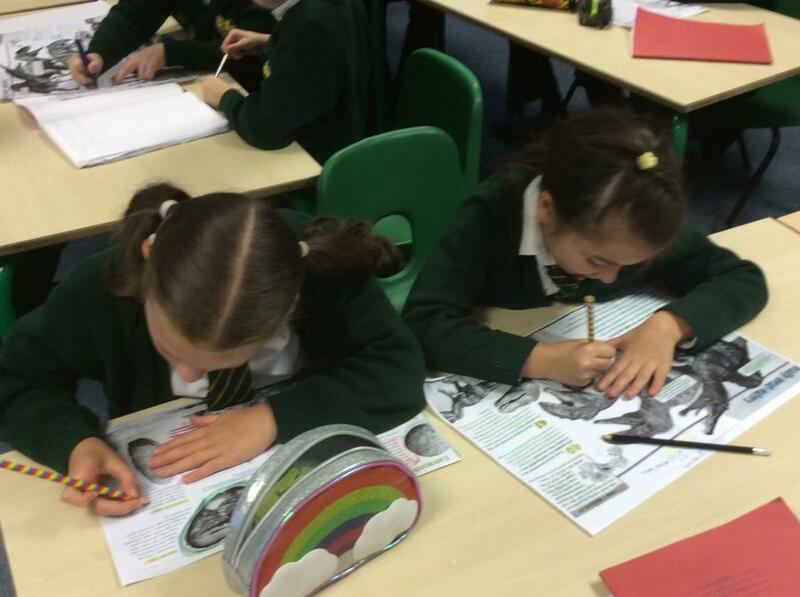 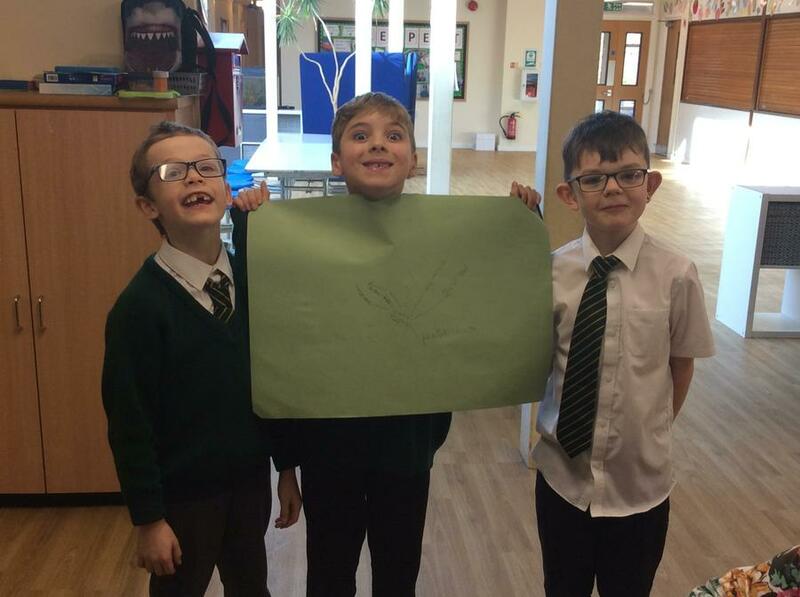 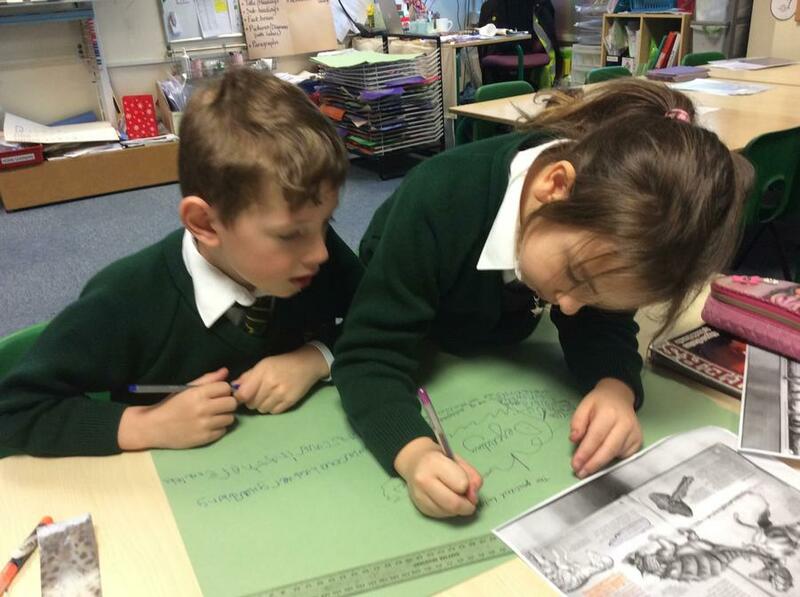 We looked at a range of dinosaur-related texts and identified features that were common. 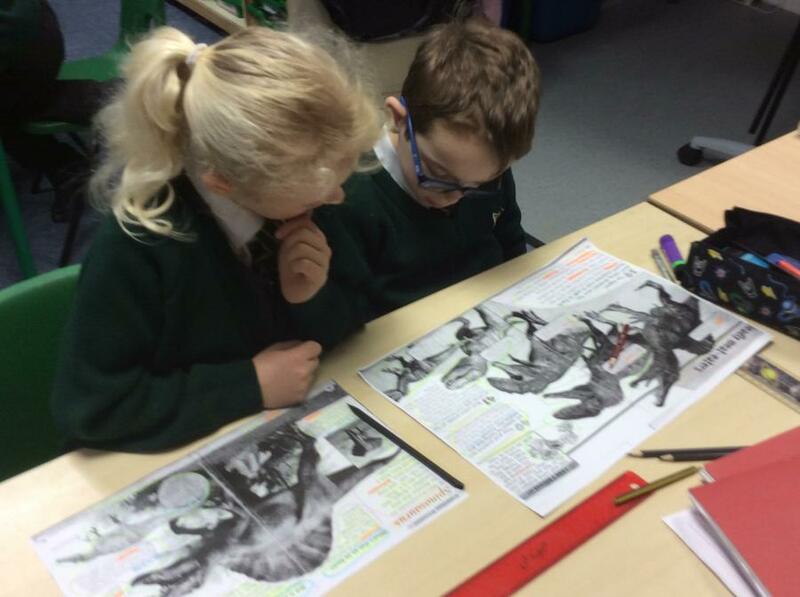 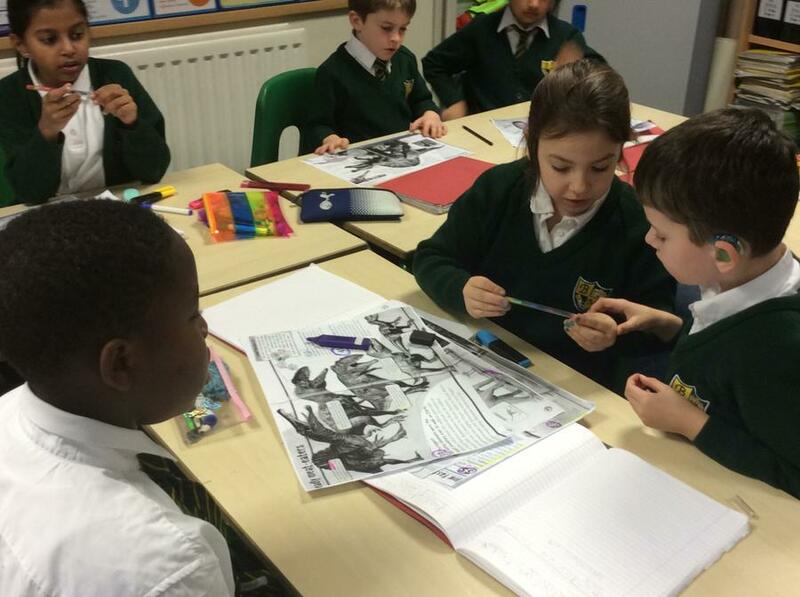 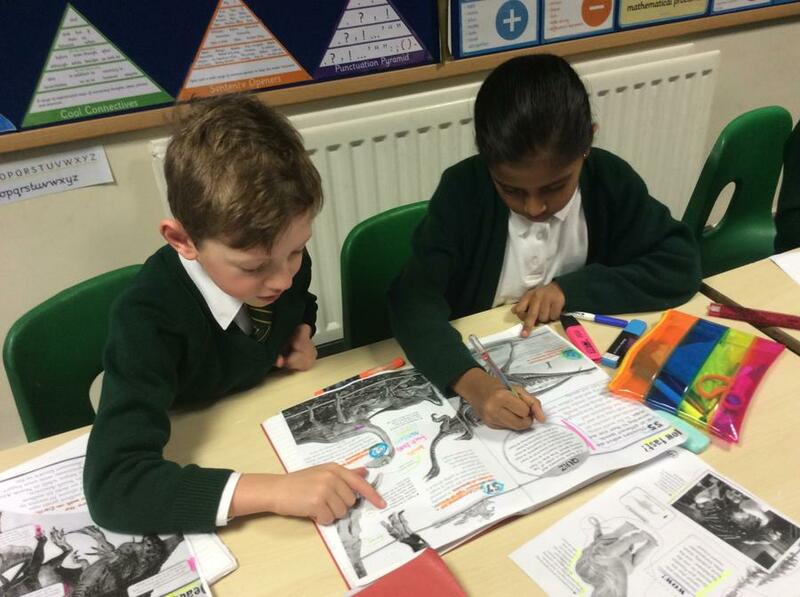 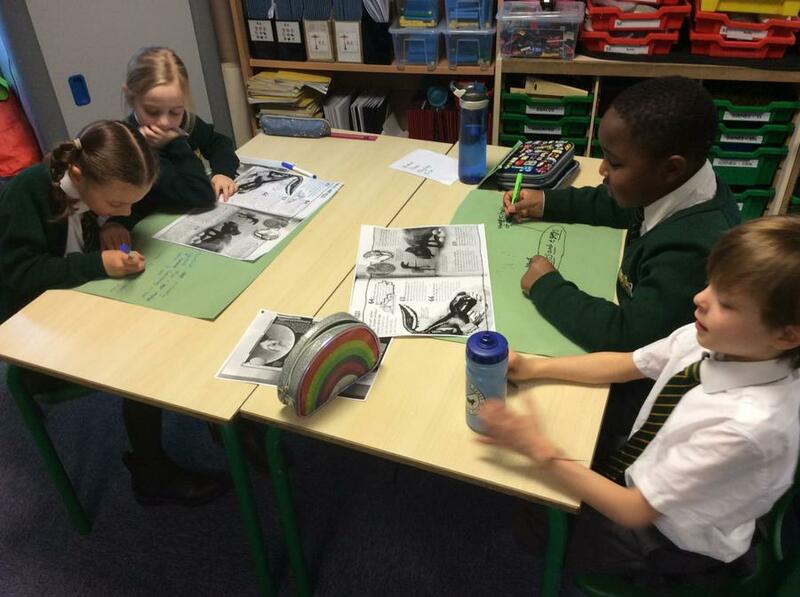 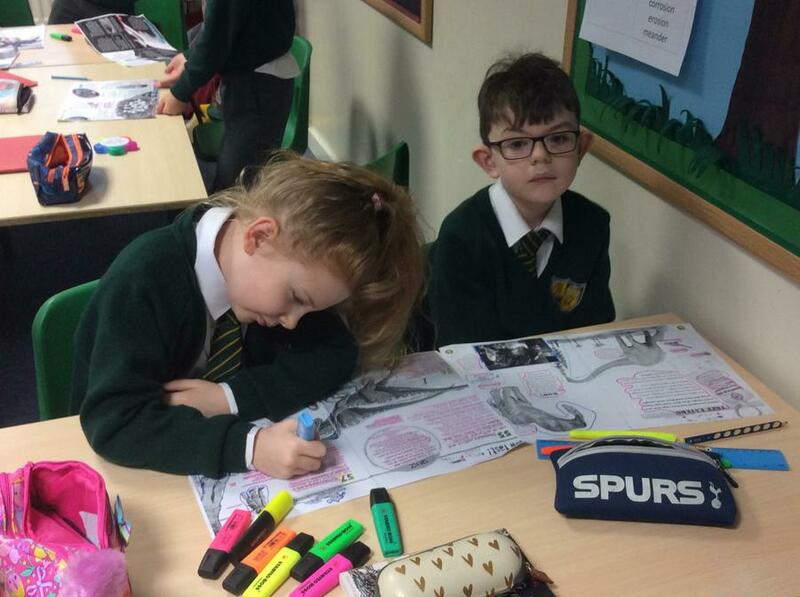 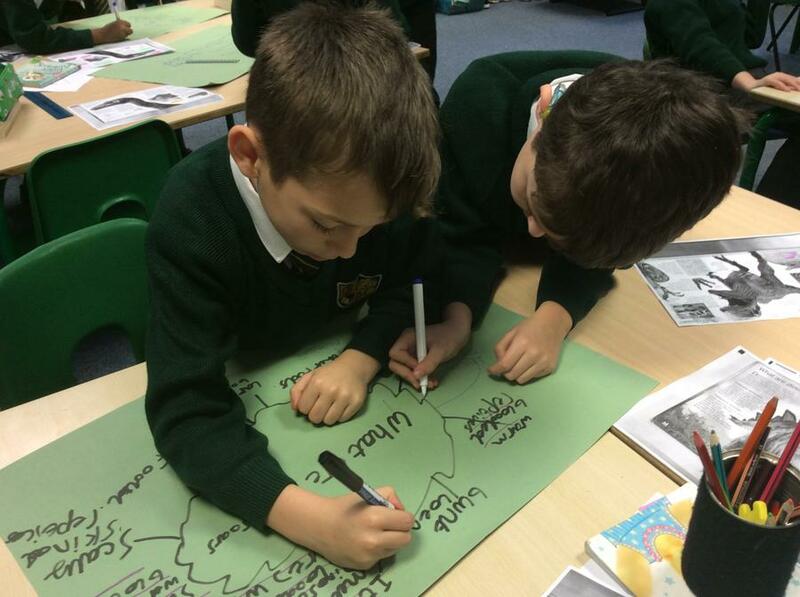 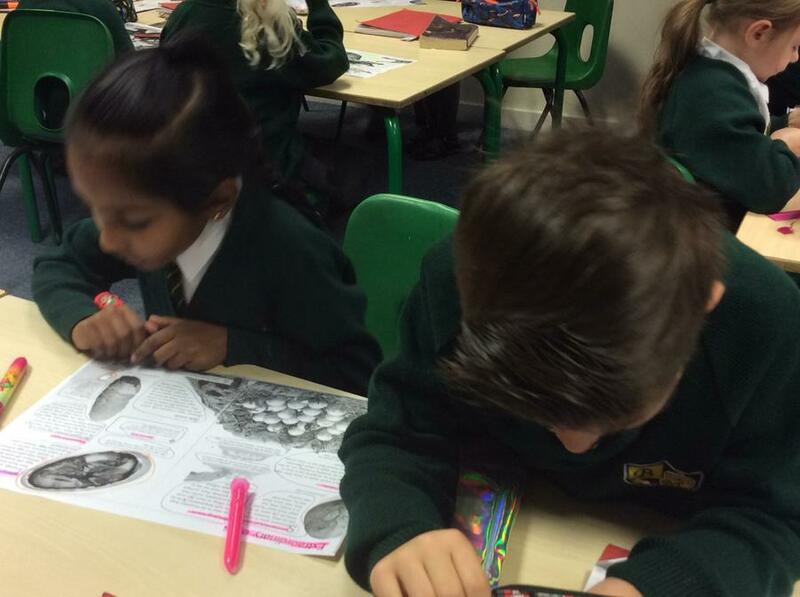 Later in the week, we used the texts to practise out research skills and found out about different aspects of dinosaur life. 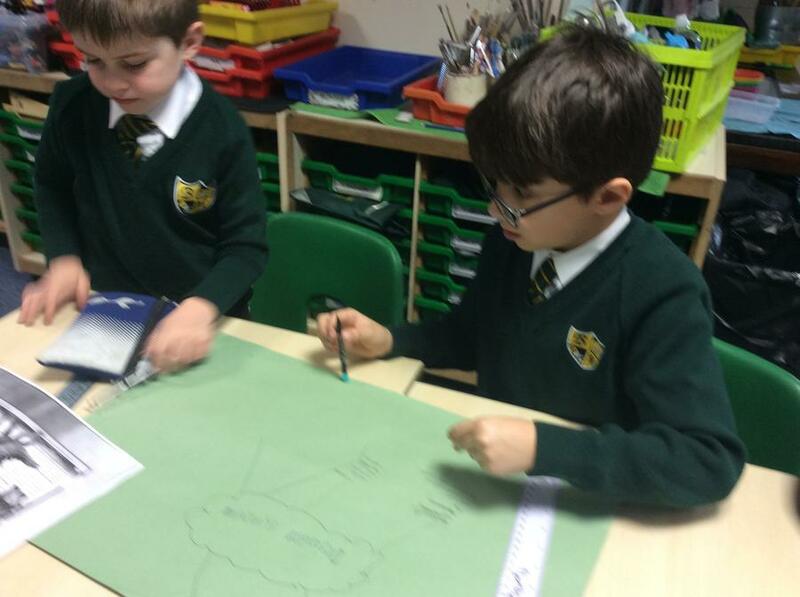 These skills will be very useful later in this unit of work. 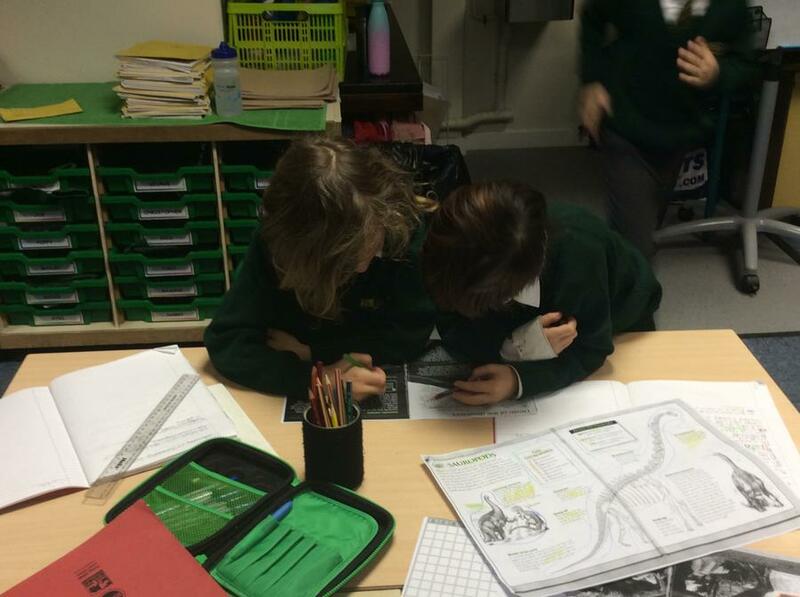 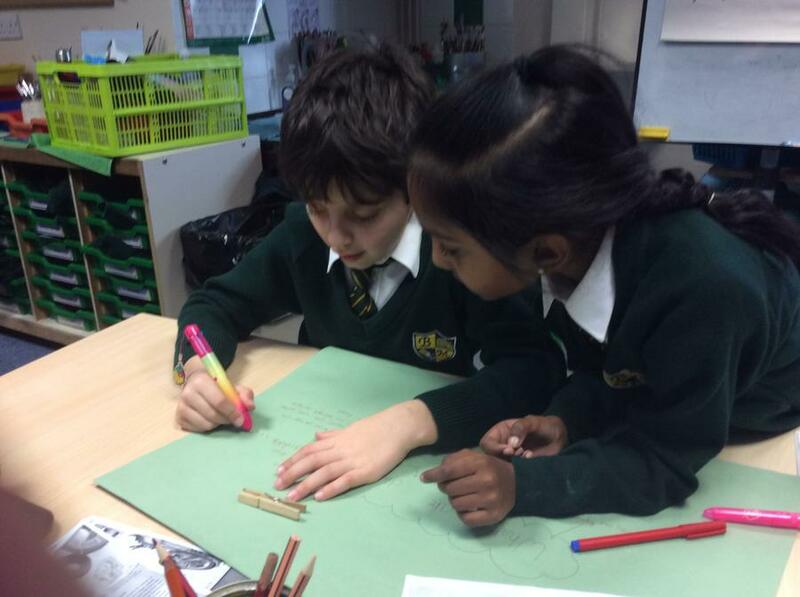 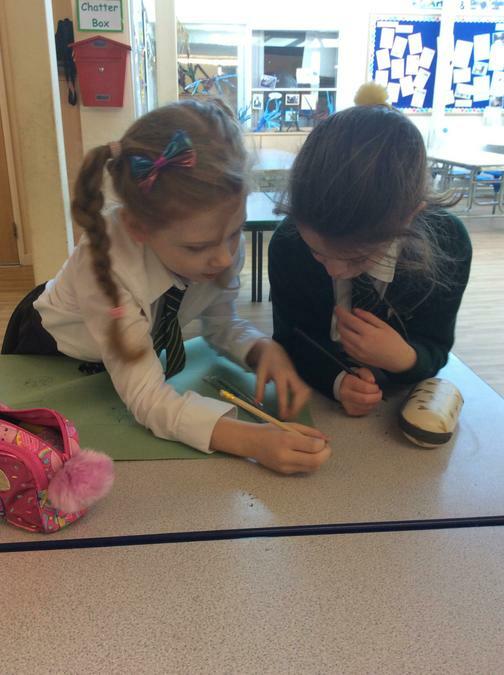 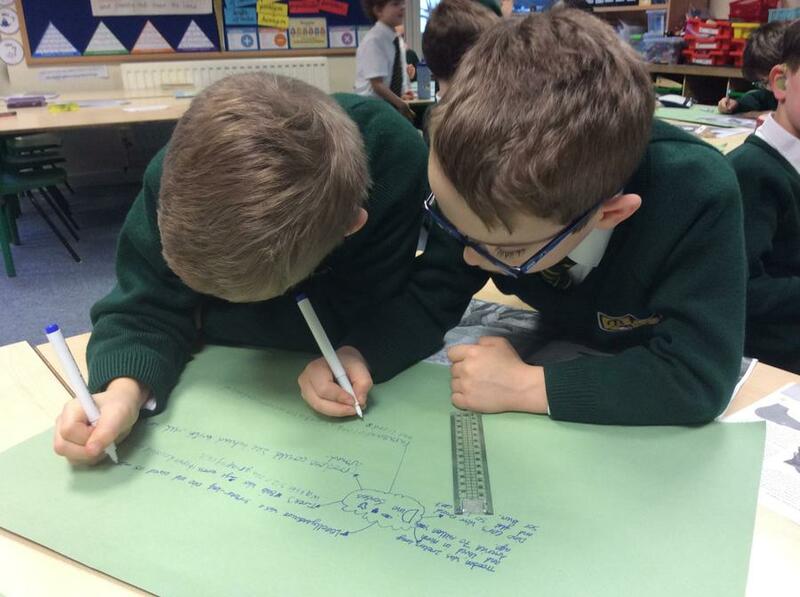 In Maths, we started a unit of work where we were developing our understanding of the the 3, 4 and 8 times tables. 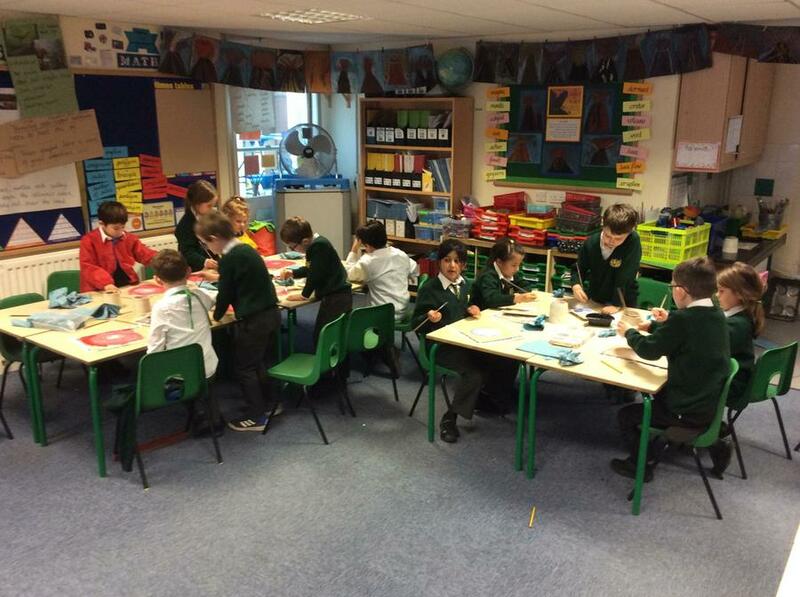 We used a lot of resources including beadstrings, counters and multilink, to make groups of numbers and arrays. 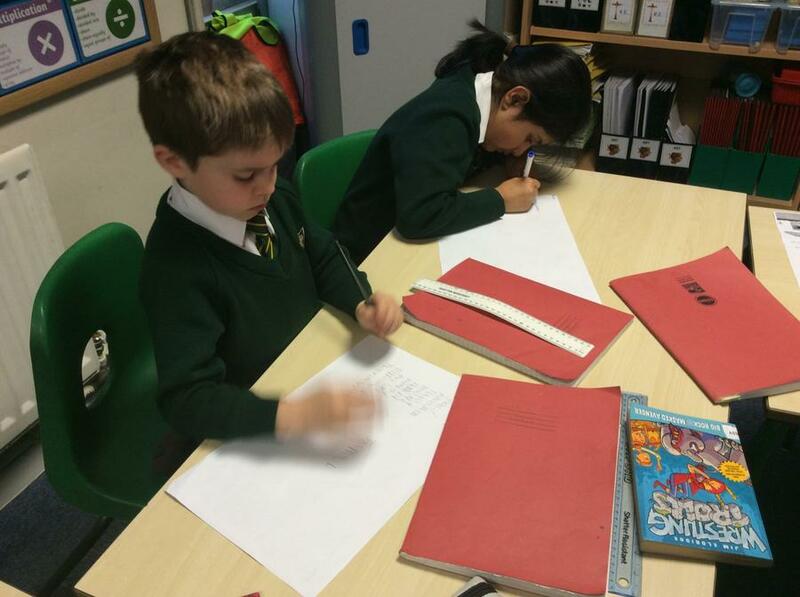 We recorded what we found in our books and wrote down the calculations and products shown. 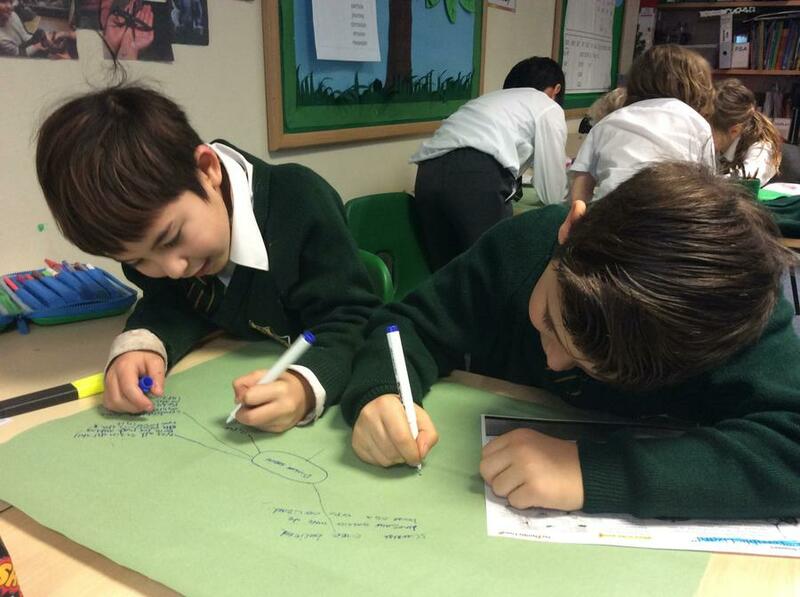 Hopefully, these methods will really help us with our understanding of multipliction (and division). 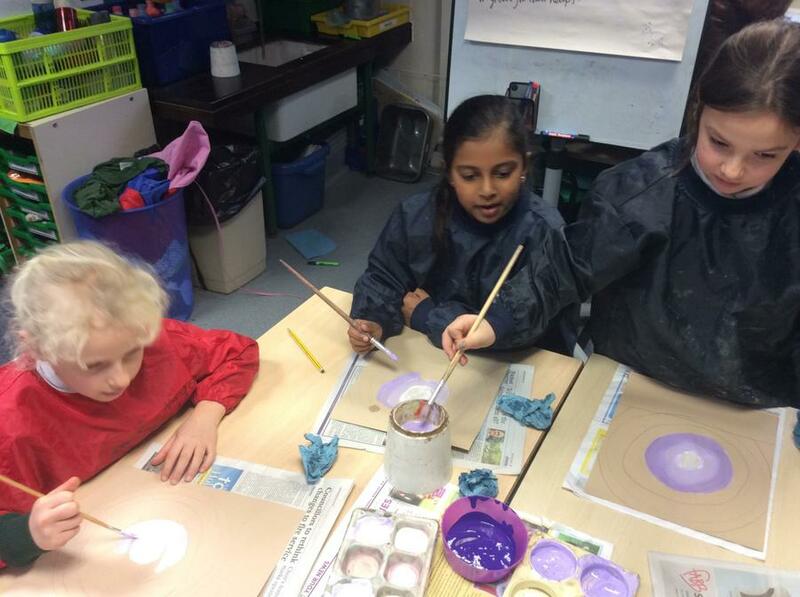 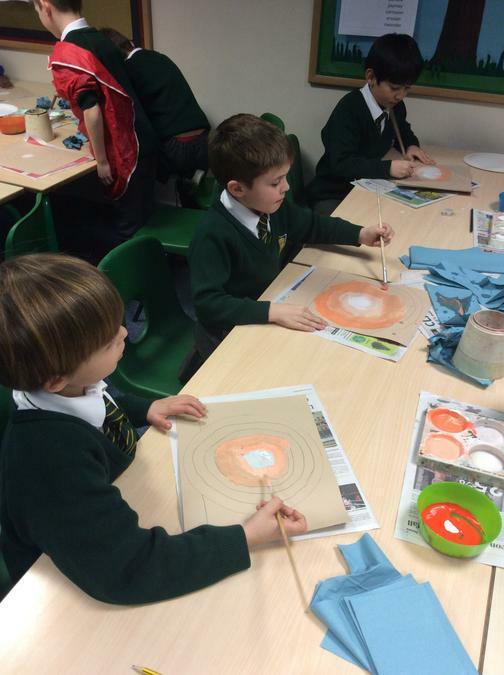 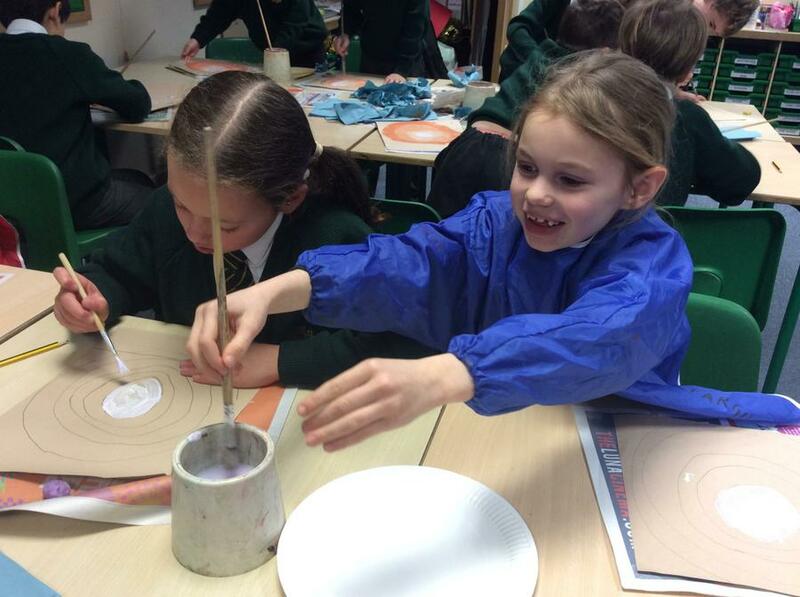 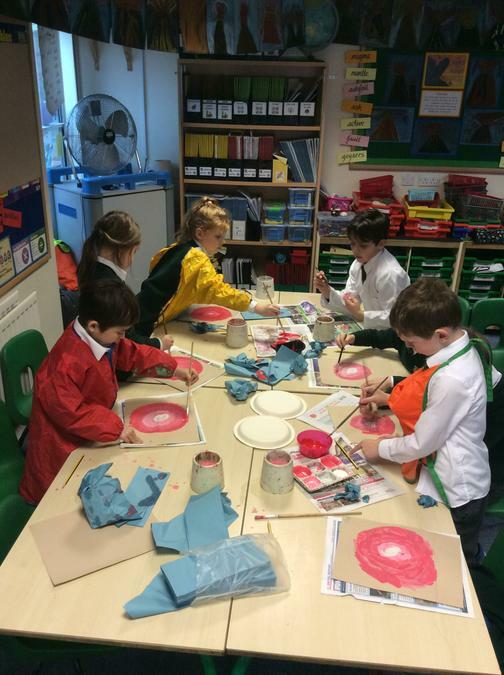 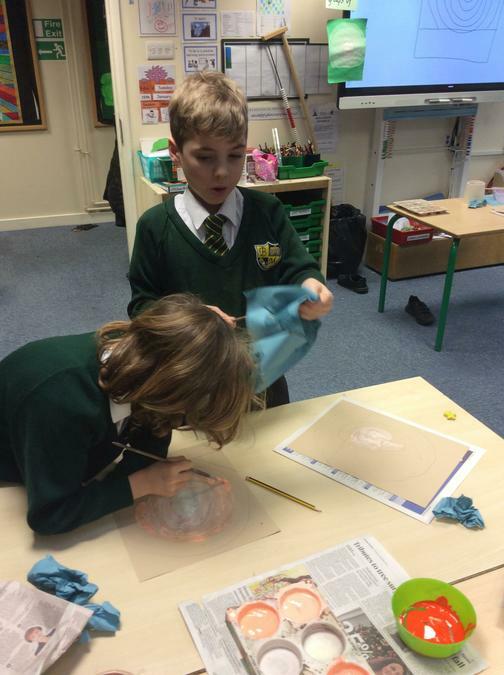 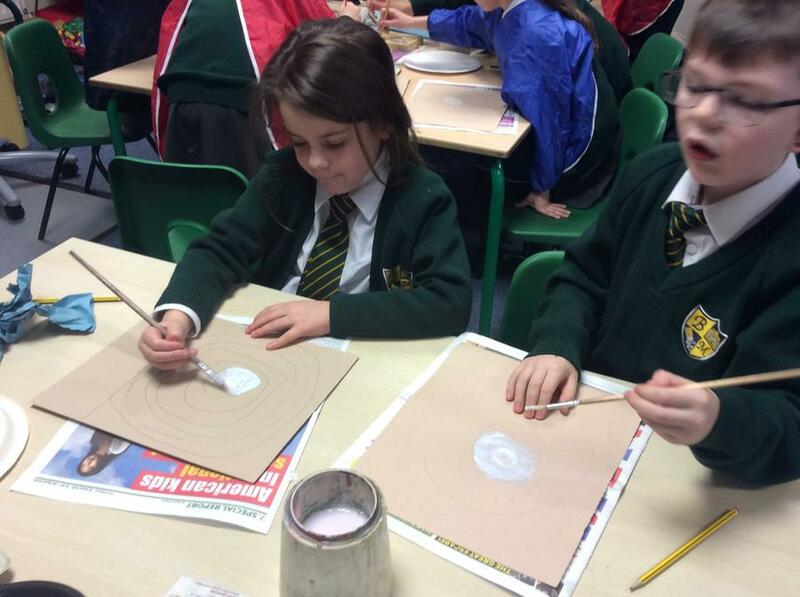 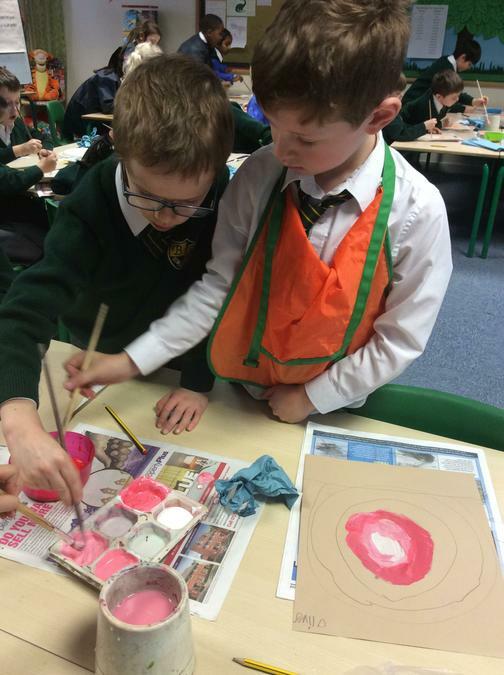 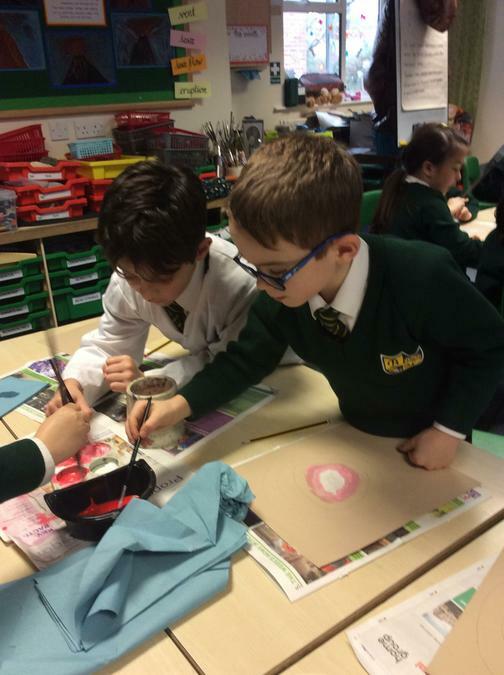 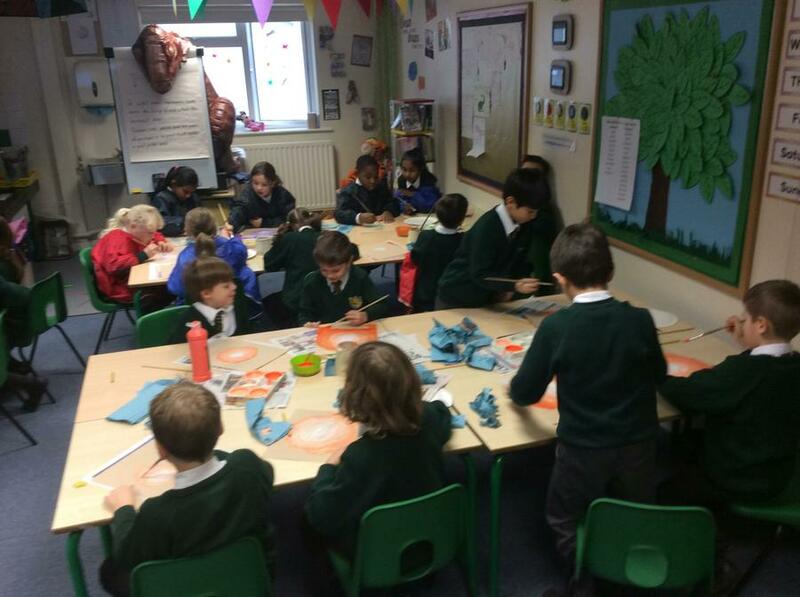 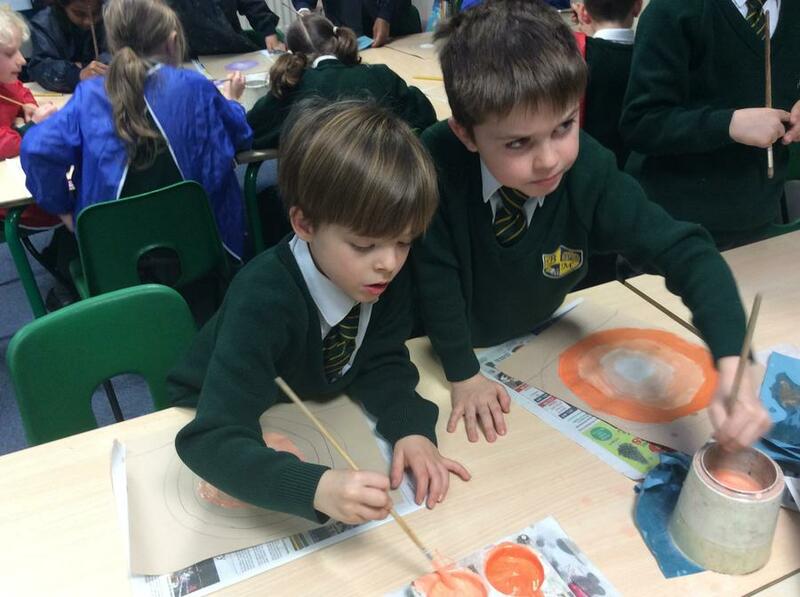 We continued with colour-mixing in Art this week. 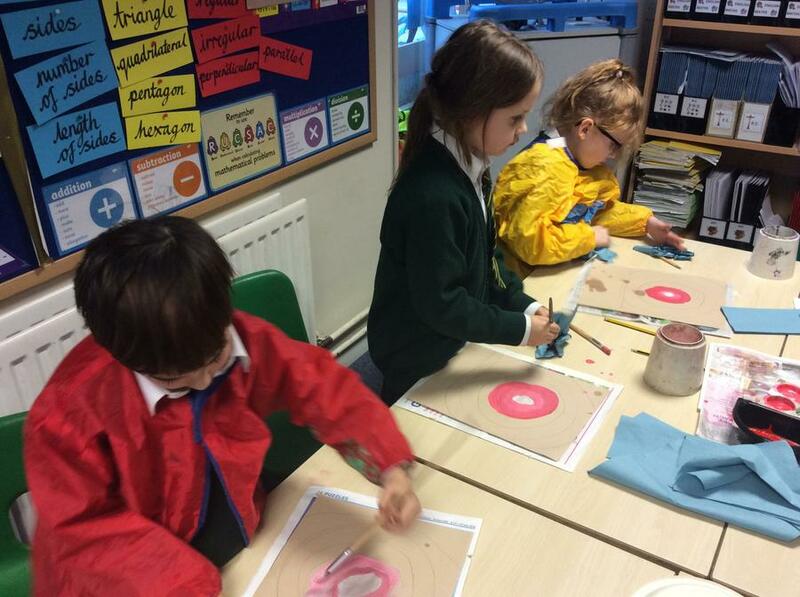 This time we were mixing tints of primary and secondary colours. 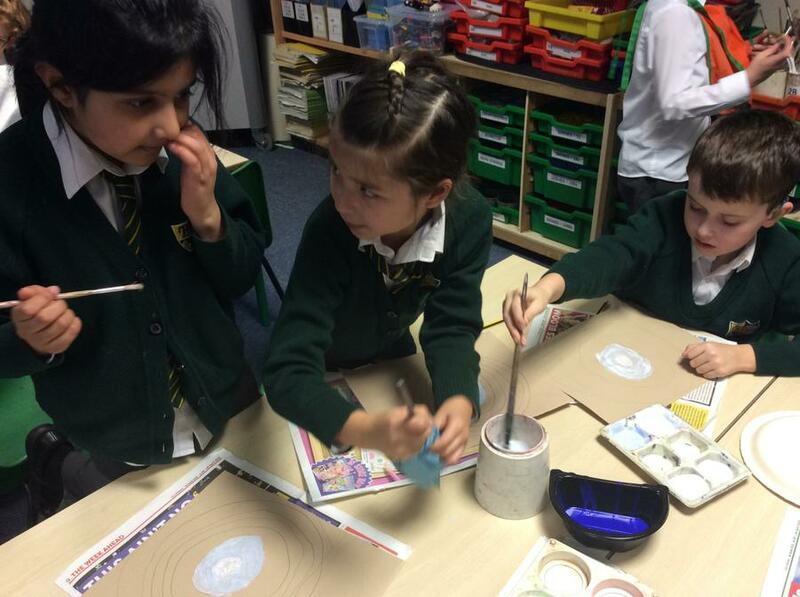 We started with white and then gradually mixed in our chosen colour, a brushful at a time. 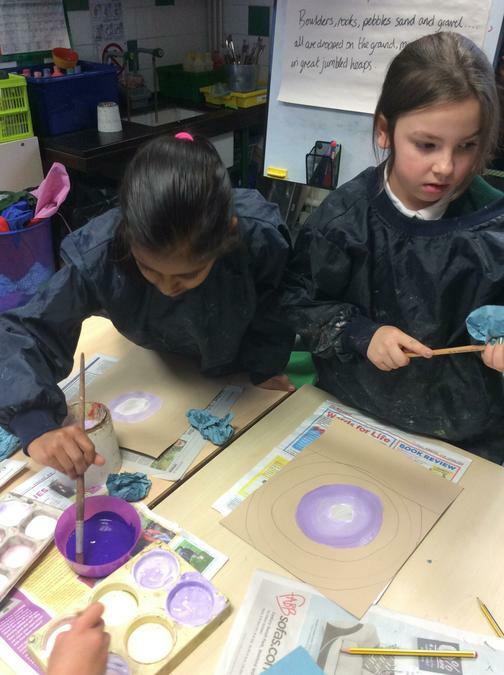 Each time we added more colour, our tint got darker and we painted an extra ring on our picture. 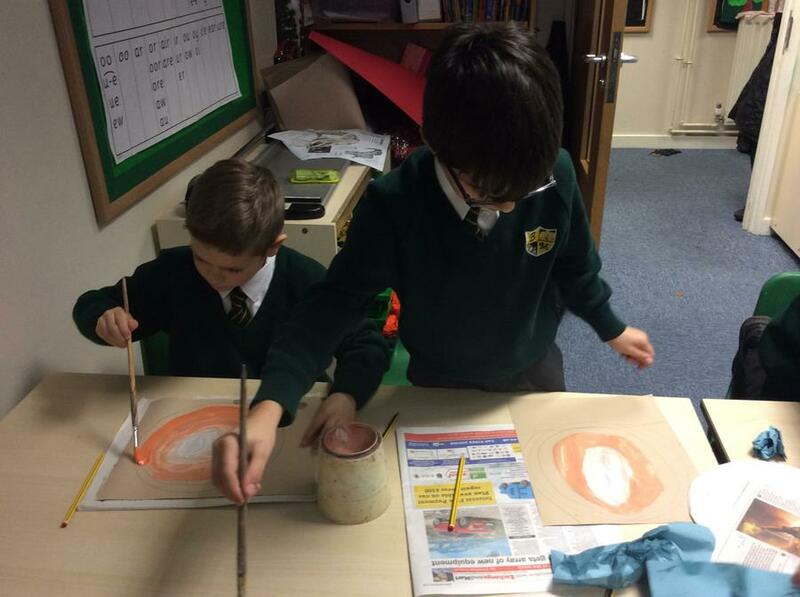 The outer layer was the pure colour we had chosen. 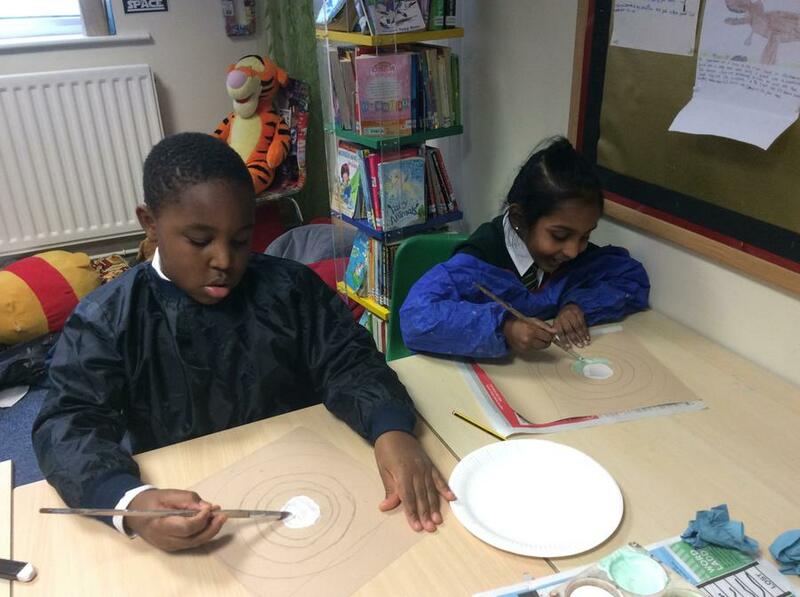 This is going to be the background for a picture we are working on, Watch this space next week!